Here are the words of "Rise to Mars"
Dare to dream! Dare to strive! Build a home for our children. Make this desert come alive! Shall take us through and through! Doug Plata; The Moon: A Stepping Stone to Mars? Doug Plata; What is the Business Case for Mars Settlement? Using Low cost Impulse Launch to access LEO at 1/50th the cost of rocket launch for fuel and supplies needed for a robust Mars Mission. What should be the way ahead for NASA? Art Harman; Don't Destroy ISS in 2024 - Privatize it! Prasad Falke; What Improvements to the Deep Space Network are Needed to Support Manned Missions to Mars? 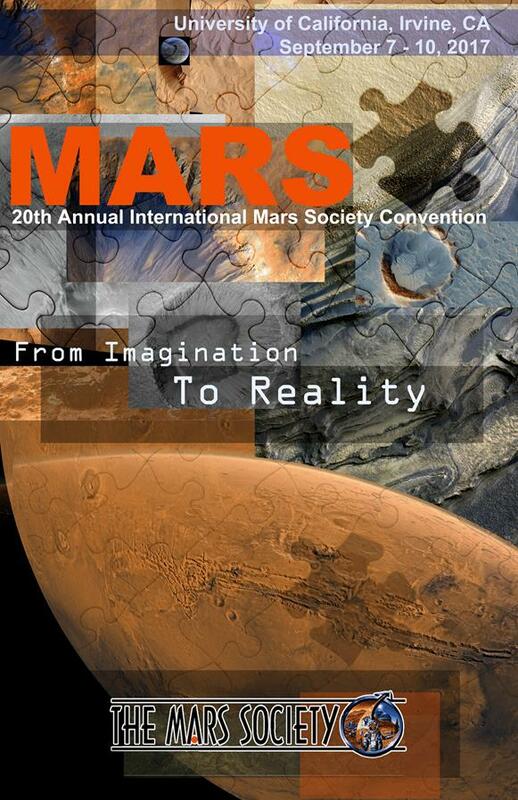 Hoppe Jennings; Mission to Mars: A way to teach middle school science.